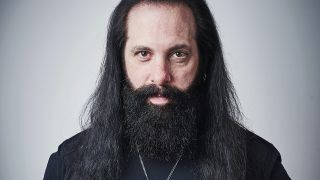 Dream Theater’s John Petrucci has paid tribute to Rush, saying they were the band “that changed everything” for him. Petrucci says: “To me, Rush was the band that changed everything. When music just hits you in such a way, especially when you’re young and you’re developing your tastes. That band, there was something about it. “One of my greatest musical memories has to do with them because Rush was the first concert I ever went to. In 1982, they were on the Signals tour, they were playing the Nassau Coliseum on Long Island. I went there and had the worst seats ever. “They were so far away, but I just couldn’t believe that this was a band I was listening to all this time, and here I am in the same building as them. How was that possible? Rush brought the curtain down on their career in Los Angeles on August 1, 2015 – the final night of their R40 tour. Vocalist and bassist Geddy Lee has since worked with Wintersleep and published his Big Beautiful Book Of Bass; guitarist Alex Lifeson is a special guest on The Mute Gods' new album Atheists & Believers, while drummer Neil Peart has retired from music. Dream Theater, meanwhile, are currently on tour in support of their new album Distance Over Time.